Comic Book Backstory: Who Are The Inhumans? Since Marvel doesn’t own the film rights to the X-men, the Inhumans are being used as the MCU’s “mutants”, by being featured in such TV shows as Agents of S.H.I.E.L.D. And now that they’re getting their own TV show in less than a week’s time, there’s no better time to explain just who the Inhumans are. It began thousands of years ago, when an alien race named the Kree invaded Earth and performed experiments on human beings in order to turn them into super-soldiers in their war against their rival alien race, the Skrulls. 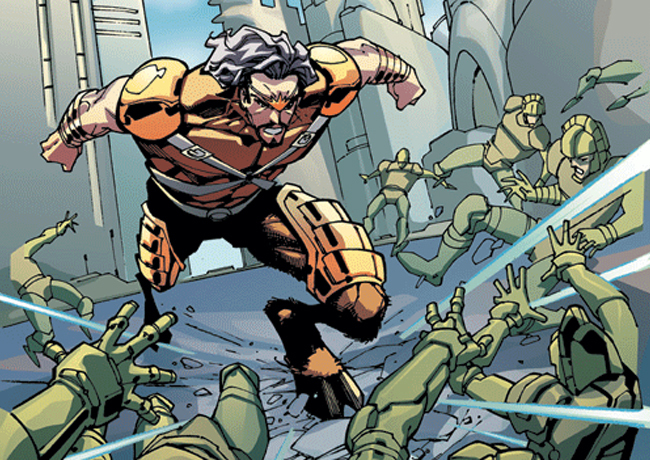 But they decided to abandon their experiments, leaving a small tribe of enhanced humans behind, known as the Inhumans. The tribe relocated to an island in the North Atlantic by the name of Attilan. Due to their genetic enhancements and their isolation from humanity, the Inhumans evolved quickly in terms of culture and technology. One of the Inhumans, a geneticist named Randac, created a substance by the name of Terrigen which accelerated genetic advances in Inhumans in order to trigger their hidden abilities. He tested it on himself by immersing himself in the Terrigen Mists, gaining superhuman mental powers. And from then on, every Inhuman would go through this procedure and develop a unique set of superhuman abilities. Jumping forward to the 20th century, Attilan was ruled by Black Bolt and his royal family consisting of Medusa, Maximus, Crystal, Triton, Gorgon, Karnak and Lockjaw. Medusa was the first Inhuman to make her debut in, Fantastic Four #36, written by Stan Lee and drawn by Jack Kirby, on March 1965. The Royal Family’s debut, as well as the official debut for the Inhumans, was in Fantastic Four #45, also written by Stan Lee and drawn by Jack Kirby, on December 1965, with the exception of Maximus, who debuted in Fantastic Four #47, on February 1966. Blackgar Boltagon, also known as Black Bolt, inherited the throne from his father Agon, ruler of the Inhumans. When put through the Terrigen Mists, he gained many abilties including the ability to harness electrons. Because that power was linked to his vocal cords, he had a voice so powerful that even a whisper could tear down a city, which forced his parents to lock him in a soundproof chamber until he could learn to control his powers. He managed this with training and with an energy-harnessing suit. Maximus, also known as Maximus the Mad, is Black Bolt’s younger brother. When he went through the Terrigen Mists, he gained enhanced psionic powers, which he chose to hide from the other Inhumans along with his desire for power. As an adolescent, Maximus tried to allie himself with the Kree, but Black Bolt found out and destroyed the Kree warship with his voice, causing it to crash-land and kill their parents, cutting the last string holding Maximus’ mental sanity together. Thereafter, Black Bolt became king and since then he and Maximus fought numerous times for the throne. Medusalith Amaquelin, also known as Medusa, gained a superpowerful hair when exposed to the Terrigen Mists as a baby, which could be used as many things such as extra limbs, transportation and as a weapon. She managed to learn Black Bolt’s body language, becoming his interpreter, and later fell in love with him, which would lead to their eventual marriage, making her queen of the Inhumans. Corystalia Amaquelin, also known as Crystal, is Medusa’s younger sister. When exposed to the Terrigen Mists, she became an elemental by being able to psionically control Earth, Water, Air and Fire. She dated the Human Torch for a period of time, even serving as a substitute member for the Fantastic Four for a while. She eventually married Quicksilver but their marriage was annulled when Quicksilver illegally exposed himself and their daughter Luna to the Terrigen Mists. Triton (real name unknown) is the first son of the Inhuman priest Mander, his father, and the Inhuman biologist Azur, his mother. With only one year of age, he was exposed to the Terrigen Mists, gaining the ability to breathe underwater and, as such, live there. Because he was adapted to live underwater, he could not survive on land without the use of a special equipment. Gorgon (real name unknown), is Black Bolt’s cousin. When he was young he was exposed to the Terrigen Mists and as a result his feet were replaced with hooves with the power to create seismic tremors with a single step. He served as Black Bolt’s bodyguard and trained other Inhumans exposed to the Mists in the usage of their new found powers. 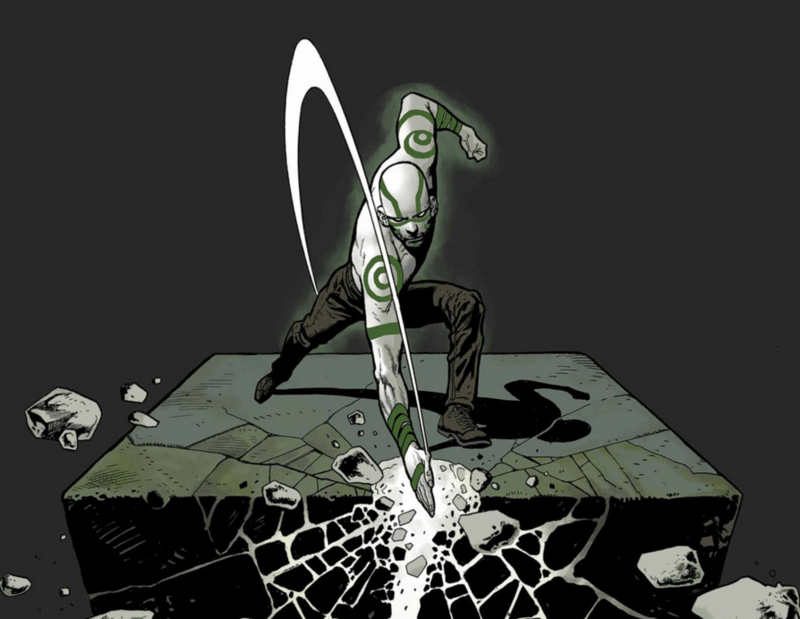 Karnak (real name also unknown) is the second son of the Inhuman priest Mander. He wasn’t exposed to the Terrigen Mists and instead was sent by his parents to his father’s religious seminary in the Tower of Wisdom, where he went through physical and mental training, learned martial arts and studied religion. As a result, he gained superhuman strength, the ability to control his body functions and the ability to sense the weaknesses in any object or living being. Lockjaw was an Inhuman child who got transformed into a giant canine, keeping his human intelligence but acquiring canine tendencies. He also gained the abiliy to teleport himself and up to dozen others to other places and dimensions. His maximum teleportation range is the distance between Earth and the Moon. He became the Royal Family’s teleporter and loyal companion and also became a founding member of the Pet Avengers (no, this isn’t a joke). 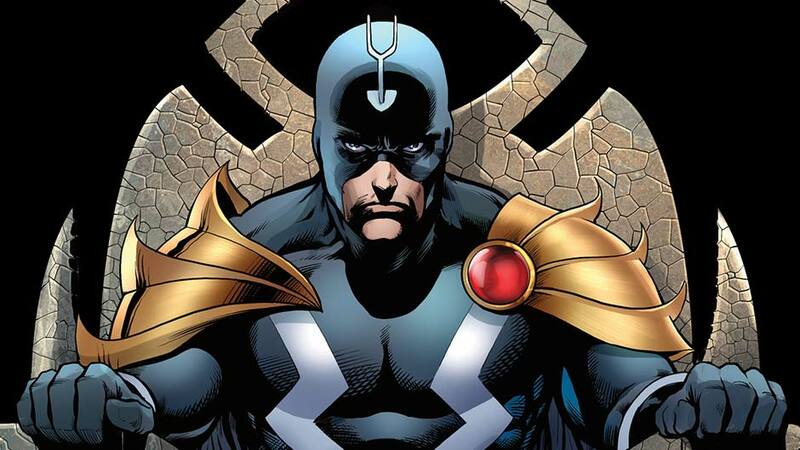 Humanity first came to the knowledge of the Inhumans when Maximus took over the throne of Attilan and exiled Black Bolt and the rest of the Royal Family. 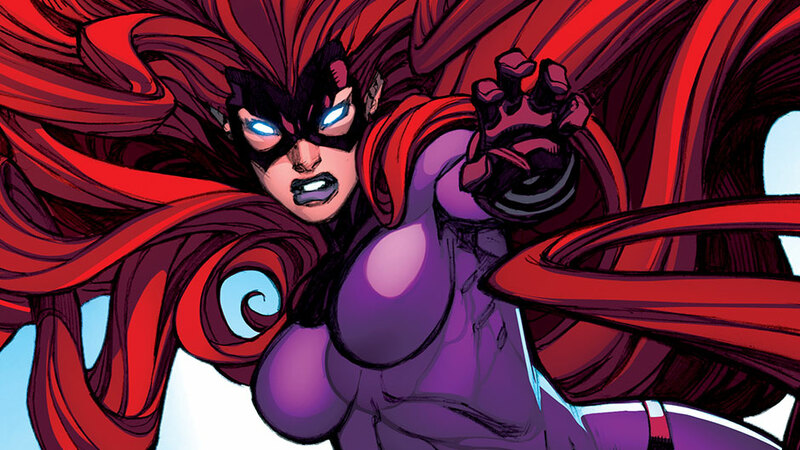 In her exile, Medusa lost her memory and joined the villainous Frightful Four, who fought against the Fantastic Four. She later regained her memory and joined the rest of the exiled Inhumans. Black Bolt and his Royal Family, with the help of the Fantastic Four, took back the throne from Maximus. Black Bolt and Medusa married some time after. The Inhumans have helped the heroes of Earth on multiple occasions since then and fought wars with other alien races such as the Kree, the Skrulls and the Shi’ar. Their city of Attilan has changed location numerous times during Black Bolt reign, from the Himalayas to the area of the Moon with breathable air known as the Blue Area of the Moon to a starship powered by Black Bolt’s own voice, which he later had floating over New York. 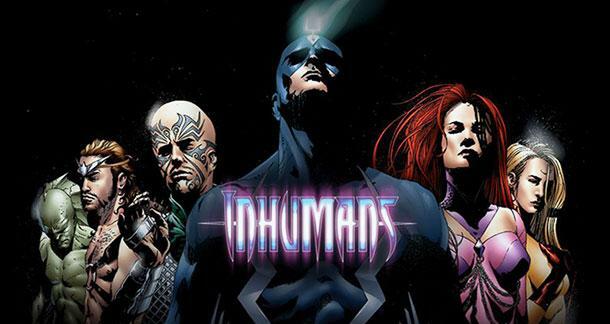 Because of their rich history and their diverse roster and powers, the Inhumans have made many appearances in cartoons and videogames before making their live-action debut in the TV show Agents of S.H.I.E.L.D. The Royal family will make their official live-action debut in the TV show Inhumans, with showrunner Scott Buck and starring Anson Mount as Black Bolt, Iwan Rehon as Maximus and Serinda Swan as Medusa. It is set to debut on September 1, 2017, with the first two episodes premiering in IMAX theaters. For more marvel-related articles, be sure to follow Geek Motivation (@GEEKMOTIVATION) and me (@Miguel420Coelho). Previous Previous post: Will Nova Soon Make An Appearance In The MCU?